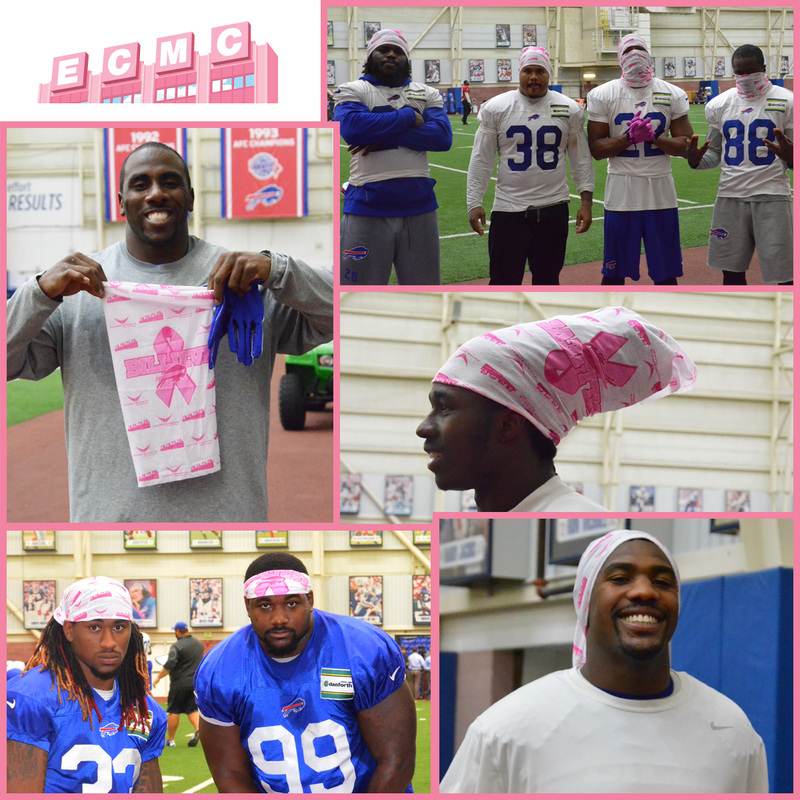 This week, the Buffalo Bills and ECMC have teamed up to intercept cancer in recognition of the NFL’s Crucial Catch Campaign, by creating several events that seek to generate awareness and increase cancer prevention. On Wednesday, Oct. 18, the focus was breast cancer. 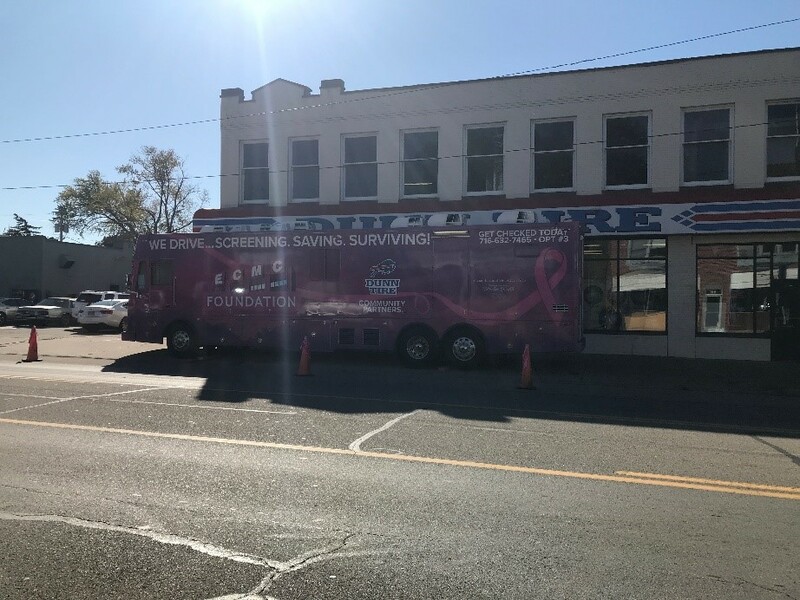 To support the cause, the ECMC Mammography Coach was on-site at Dunn Tire in Olean to provide free breast cancer screenings. 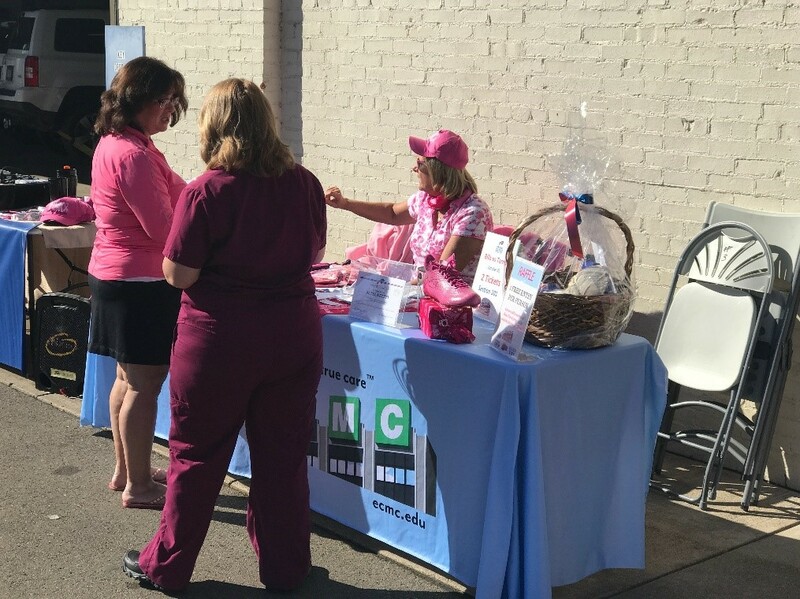 Throughout the day, members of the community took a proactive approach to their health by stopping by to receive a screening. For more information on how the Bills and ECMC are making a difference this week, please visit here. 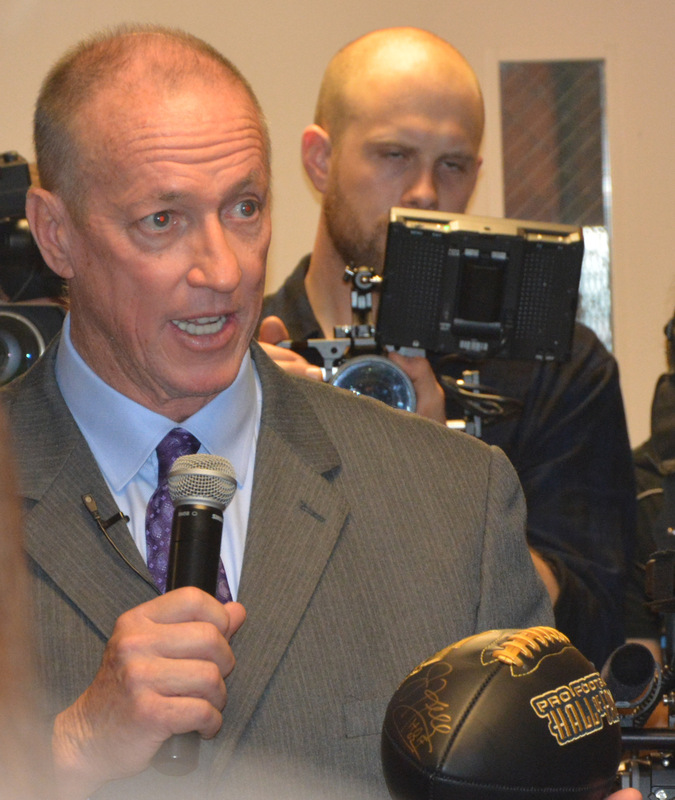 Bills Hall of Fame quarterback Jim Kelly and ECMC dedicated a new room to the hospital on Tuesday, Oct. 18. The “Kelly Tough Room,” where Kelly received care at ECMC during his bout with cancer, features memorabilia donated by Kelly. In attendance at the dedication ceremony were a few special guests including, the Kelly family, ECMC caregivers and some of the physicians and nurses who attended to Jim during his cancer treatment. 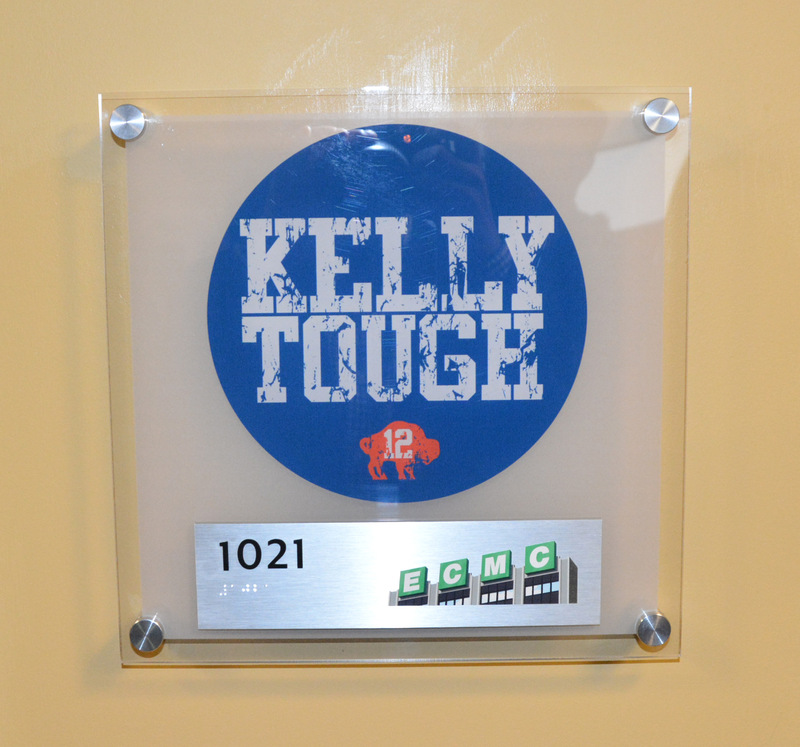 The Kelly Tough Room will provide a source of inspiration to patients and their families who receive care at ECMC. Sunday’s game against the New England Patriots has a 1:00 p.m. kickoff. Fans through the gates will receive a commemorative t-shirt and an ECMC and ADPRO Sports Billieve Yowie® rallywear. Other pregame festivities include Stampede performance at 12:30 p.m., a special pregame ceremony at 12:40 p.m. and Buffalo’s own Johnny Rzeznik of the Goo Goo Dolls singing the National Anthem. Fans are encouraged to get to their seats early to enjoy all of the pregame events.